New Zealand’s Whanganui River is the first river on earth to gain the same legal protections as an individual. The river’s Maori people, who have been fighting for the designation for 150 years, saw it that way all along. Rivers are made of water, and water comes from rain, and boy, did it rain! We had come to the North Island of New Zealand in February and just happened to hit one of the rainiest summer periods in local memory. 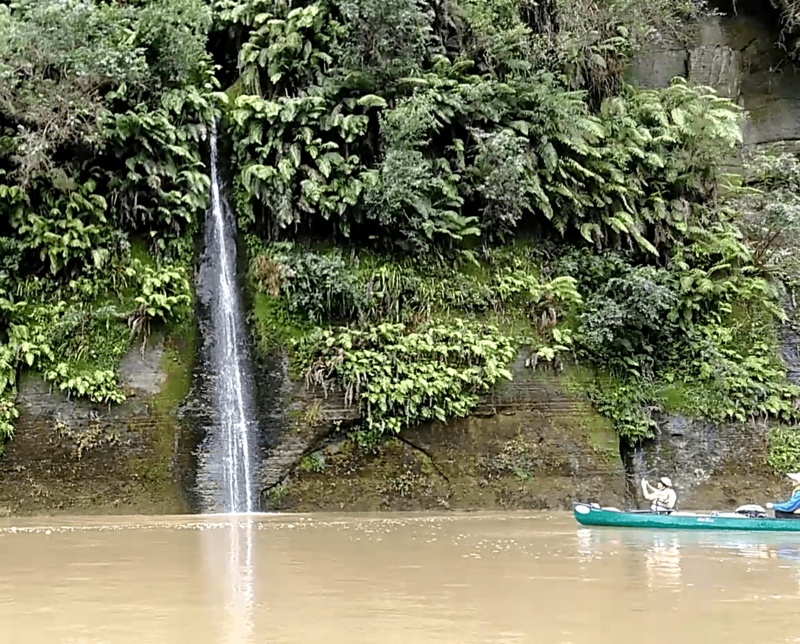 It rained so hard that, the day before our scheduled three-day canoe trip on the Whanganui River, the federal government shut it down to recreational canoeing. Joining me were my partner, Catherine Ebeling, my friend, Colorado Riverkeeper John Weisheit and his wife, Susette Weisheit, and, from Australia, Yarra Riverkeeper Andrew Kelly. When our journey did begin, it rained so much on the first day and night that the government shut the river down again, stranding us in a hut on the riverbank. The Whanganui River has always been an important communication route to the central North Island, both for Māori and for European settlers. It is, however, also a difficult river, with stretches of white water and rapids in its upper reaches. The section we paddled, a little farther downstream, was wider and navigable by canoe. As we waited out the weather, we watched massive trees and logs careen down the waterway—along with several dead goats and sheep. Yet the river, swollen and running fast, was alive. 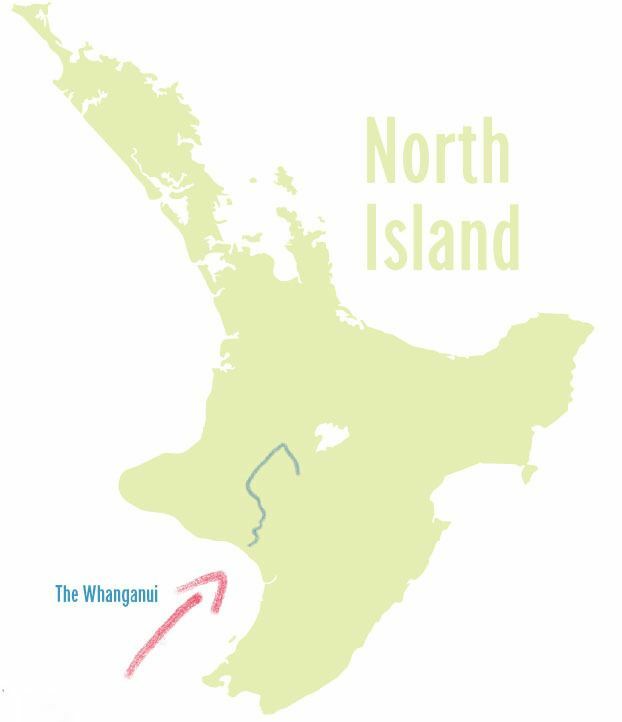 And how fitting that was, since the Whanganui, the longest navigable river in New Zealand, is the first river on earth to achieve “personhood.” It’s a status gained after one of the longest legal battles in New Zealand history. The night before our canoe trip began, we had dinner in the tiny town of Owhango with our hosts and outfitters at Owhango Adventures, which runs guided cultural river trips on the Whanganui. The meal was excellent – beef, potatoes, corn on the cob and salad. 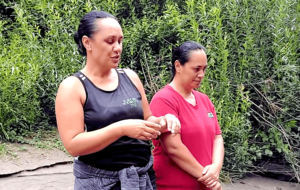 It was prepared by Maori sisters Dianah and Maki Ngarongo, who were born on the banks of the Whanganui and work with Grant Lethborg running the outfitting company, conducting the river tours and operating a lodge-restaurant. Grant is a New Zealander of European ancestry, and a hulking former rugby player. After dinner, the women told us the compelling story of the struggle to secure personhood status for the river, and explained the Maori worldview that drives their claim to the river and the landscapes around it. 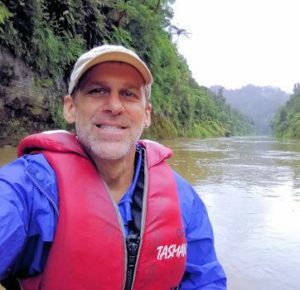 Above left, Poudre Waterkeeper Gary Wockner, from FortCollins, Colorado, has travelled the world in support of wild rivers. 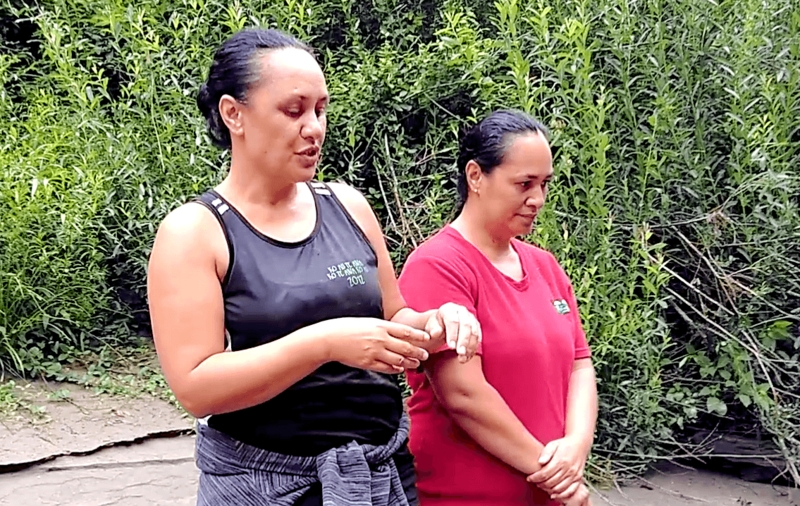 Above right, Maori sisters Dianah and Maki Ngarongo, who were born on the banks of the Whanganui River, conduct river tours and operate a lodge-restaurant. Photos by Gary Wockner. Prior to European colonization, the area along the river was one of the most densely settled parts of New Zealand, with more than 100 Maori villages, which gave birth to a network of trade and communication stretching back at least 600 years. European settlers began arriving in large numbers in the early 1800s. By the 1880s, the Crown government had established a steamer service on the river, with little or no consultation with Maori tribal leaders, and mining operations had begun to extract minerals from the riverbed, virtually destroying Maori fisheries and degrading the river’s ecological and cultural value. The Whanganui tribe petitioned the New Zealand Parliament as early as the 1870s, continuing for decades to seek compensation and justice and to have their relationship with the river officially acknowledged, but with no success. The Whanganui inlet at Rakopi, New Zealand. Photo by Phil Norton. In March of 2017, the Maori finally won the battle. The victory gave “legal personhood” status to the river, allowed the Maori to designate a person to represent the river in court actions, and included land-settlement negotiations as well as a large financial settlement for the tribes in the area. Gerrard Albert, the lead negotiator for the Whanganui tribe, had this to say after the bill’s passage, “In Whanganui we have a saying: ‘Ko au te awa, ko te awa ko au’ – which translates into English as, ‘I am the river and the river is me.’ We have fought to find an approximation in law so that all others can understand that from our perspective treating the river as a living entity is the correct way to approach it, as an indivisible whole, instead of the Western model of treating it from the perspective of ownership and management. The Whanganui River’s new status means that the law now sees no difference between harming the Whanganui tribe and harming the river. Photo by Kathrin and Stefan Marks. 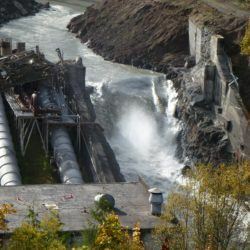 The river’s new status means if someone abused or harmed it, the law now sees no difference between harming the tribe and harming the river because they are one and the same. The next morning, Dianah and Maki joined us at the “put-in” and sang a Maori prayer that welcomed us to the river. Our self-guided trip, in three canoes, began as we slid into a small tributary, which met the Whanganui a hundred yards downstream. We were thrilled to be paddling on the Whanganui, and to experience firsthand the river that has become a person. That stretch of the upper Whanganui is a narrow rock-wall canyon with steep jungle forest spilling down to the river. The rains had brought to life dozens of large waterfalls, their clear flows crashing down the canyon walls into the muddy, swollen waterway. As we raced along in the fast water, we were mesmerized by the massive ferns and forest canopy. Sprinkling rain fell almost all of the first day but failed to dampen our spirits as we paddled toward the John Coull Hut, which we reached in late afternoon. During our day of paddling, we hardly saw another person on the river, but as we arrived at the hut, we watched as more than 40 canoeists steadily streamed into it and the surrounding campground. The evening that followed was filled with food and laughter as the rains came down harder and harder all through the night. As morning broke, the hut manager told us the Department of Conservation, which manages recreation on the Whanganui, had again shut down the river to canoeists. We relaxed in camp all day, enjoying the company of the other international travelers and raptly watching the fast-flowing river and the massive trees and logs carried along in its torrents. It had risen more than two meters overnight. One section of the river passes through Whanganui National Park in the southwest corner of the island, and is heavily protected and regulated by the New Zealand government. The upper stretch is open to canoeing and the lower stretch accommodates well-attended jet-boat tours that speed large numbers of tourists up and downstream. 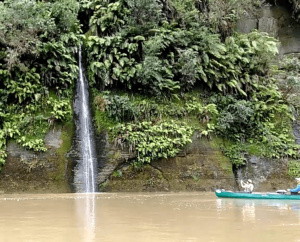 New Zealand’s “Water Conservation Order,” a law similar to the U.S.’s “Wild and Scenic Rivers Act,” protects 15 rivers across the country, but not the Whanganui. The 2017 legal settlement between the government and the Whanganui tribe protects the river through a different mechanism because of its special, indeed sacred, relationship to the Maoris. Day three on the river brought sun and more paddling. Although the flow had not decreased, the debris on the river had disappeared. As we pushed off, we were whisked downstream as if we were aboard one of the jet boats. We relaxed and gazed in awe again at the magnificent waterfalls as we paddled side to side in the canyon to keep ourselves in the warm sun. Our second night on the river was supposed to be at a hut jointly managed by Department of Conservation staff and local Maori called the “Tieke Kainga,” but the rain and strict regulation of the river kept us from extending our stay. Our three-day adventure ended near Pipiriki, where Grant Lethborg picked us up and took us back to Owhango. At dinner again with Grant and Maki at their lodge-restaurant that evening, we chatted about the rain and the swollen, muddy river, and discussed the legal settlement and continuing negotiations between the Maori and the New Zealand government. Above left, “the rains had brought to life dozens of large waterfalls, their clear flows crashing down the canyon walls into the muddy, swollen waterway.” Above right, sunshine bathes the fast-moving Whanganui near the take-out at the town of Pipiriki. Photos by Gary Wockner. 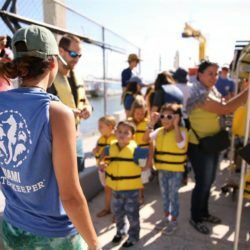 These are developments that river-conservationists around the world should look to as exemplary and continue to watch, but also, if they choose to follow them, be prepared for complex, controversial and long-term battles. And when those struggles have ended, perhaps our grandchildren will reap the benefits of our efforts. 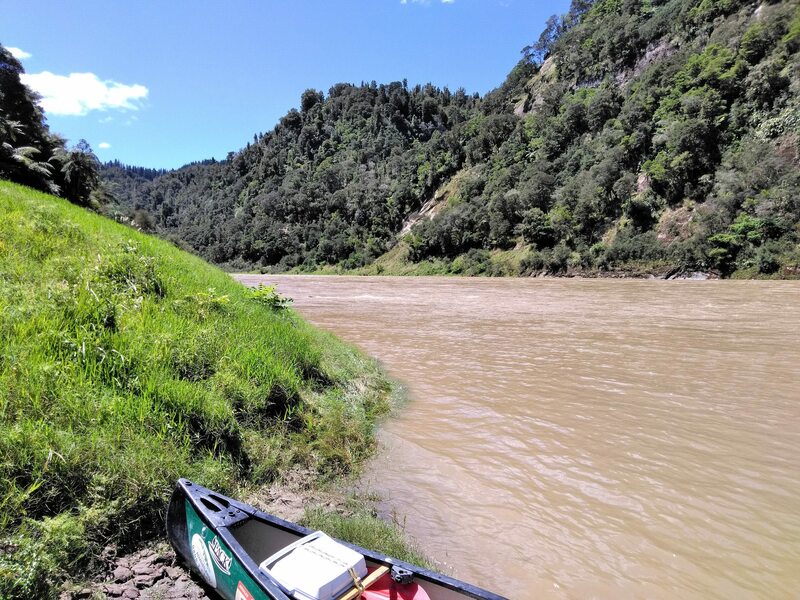 Editor’s Note: Five days after the Te Awa Tupua (Whanganui River Claims Settlement) Bill passed, India’s Uttarakhand High Court granted the same legal personhood to the river Ganges – indicating just how influential and innovative New Zealand’s approach may be.